This product contains a writing prompt inspired by some adorable clip art! 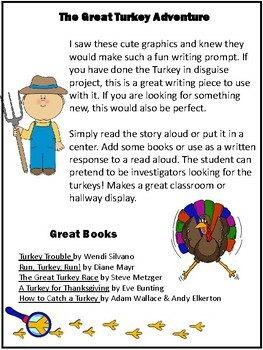 The story supports student with writing a creative story about the adventure of a turkey who has run away from the farm. It features 2 styles of writing paper. 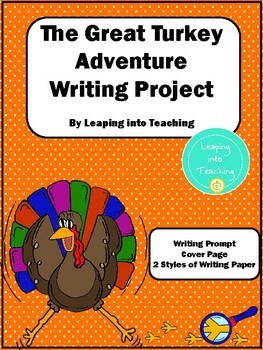 This could be a center or class writing project - just print and use. It would make an adorable classroom or hallway display. This product would also be a great companion to the ever popular Turkey in Disguise Project!